Cuitlacoche - pronounced as QUEET-la-coh-chay is a stone-shaped fungus that turns into a gunky, tar-like mush when cooked. One Lesson You Learned From Your Mom. In celebration of Mother's Day, I want to challenge everyone to share one important lesson they learned from their mom. My mother taught me to ask for what I want. This has helped me in my personal and work relationships! What one thing can you share? What "Getting Old" means to students in second and third grades. Fond memories of eating Chucata from Mesquite trees as a child. Traveling with my children led me to write Freaky Foods From Around the World - Platillos sorpredentes de todo el mundo. I think my boys would have found these maple leaves fascinating! Upcoming publication of The Mighty Mesquite, El mezquite poderoso. Introduction of pechita, pinole, and atole. A Gift From Another Culture! Kefir is a fermented drink that has been consumed for thousands of years. It originated in the Caucasus mountains in the former Soviet Union where the drink was fermented naturally in bags made of animal hides. No, I do not have a goat-skin bag, but I do have a nice pitcher that I fill with milk, add Kifer grains to, and store for up to 24 hours, mixing with a wooden spoon a couple times throughout the process. Why, you ask, do I choose to drink fermented milk? The person who sent me these specific grains has been incorporating different grains for several years and claims that these grains have up to 70 different probiotic bacteria and yeasts. What is the health benefit? For me it aids in digestion (keeps me regular), and boosts my immune system. Keeps those colds and flu at bay! I drink a half cup to a cup of Kifer milk (which is has a thick milk consistency or a watery yogurt consistency) every morning and every night. It has a fizzy quality and is a bit tart. If I want it sweetened, I add a natural sweetener or add fruit. Why I find this topic so interesting? This is yet another gift from a culture not my own! Unusual Foods for this Holiday? What is common in one culture may be strange in another. If you celebrate your holiday with an unusual food, let me know! 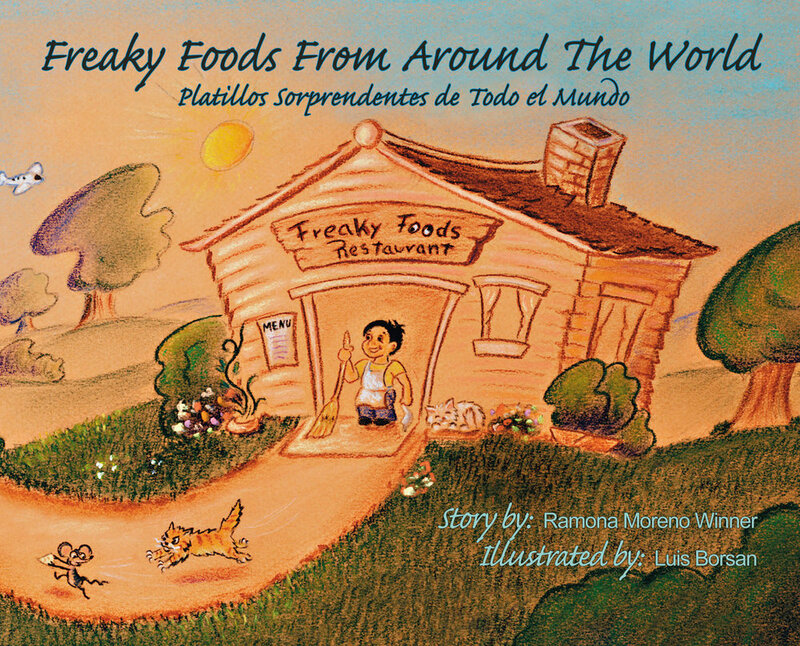 In my book Freaky Foods From Around the World - Platillos sorprendentes de todo el mundo, children learn to keep an open mind and expand their tastes! When food is strange and quite unknown and not familiar like our own, don't squirm around making funny faces, because food comes from different places. That's why it's different! Si la comida es nueva y algo extraña. Y que no es igual a la acostumbrada. No se agiten ni pogan esa cara. Porque la comida de otras partes les parece rara. ¡Por eso es diferente! Happy Holidays from Brainstorm 3000! Ever wonder how authors create book characters? This character's name is Lucas from Lucas and His Loco Beans and Freaky Foods From Around the World - Platillos sorprendentes de todo el mundo. I began writing about this character when my son Lucas was 10 years old. Lucas is now 24 and towers over me! The characters remain ageless, yet we continue to age! But like us, they too get to celebrate holidays. Eating turkey is not new to the Americas. Fossils of turkeys have been found dating back 23 millions years. The Mayans were the first people to domesticate turkeys. Turkeys range from Mexico, midwest to eastern United States, into southeast Canada. The domestic turkey is known as Meleagris gallopavo. Enjoy your turkey dinner this holiday! I love when I come across a children's book with an empowering message. I Don't Matter is about a young boy who feels less-than. Although those around treat him with respect and love, he sees his cup half empty. That is, until his friend makes him rethink his situation. He finds that he is important to many people in his life and is empowered by this knowledge. If you see a child (of all ages) struggling, this is the perfect gift for him/her. 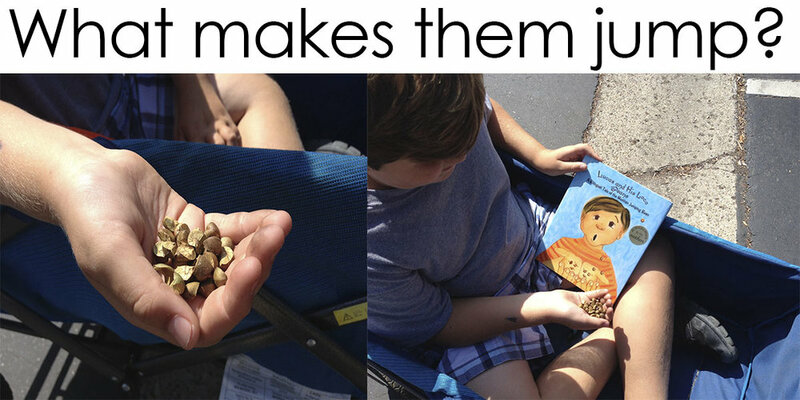 The text is bilingual (English/Spanish), and although simple to read, its message is powerful! Another WELL DONE to Georgette Baker for a lovely book. Three days of signing books, meeting people, presenting workshops, sitting on author panels, and reconnecting with friends. I presented a workshop on How to Incorporate Cultural Learning into Daily Curriculum. I had a room packed with teachers K-12. We had a great time!